My recent green beauty drugstore haul at CVS pharmacy was so much fun. I love to trawl my local drugstore for comparatively expensive cosmetics. As many of you know, I’m constantly reviewing green, non-toxic beauty products, however they can be very expensive. In many cases, you get what you pay for. Cold-pressed organic oils, hand-poured, and small-batch production will always cost more than mass-produced beauty products. Moreover, many of the smaller indie brands use extraordinary (and expensive) ingredients. But, I’m beginning to see some pretty impressive beauty products at all the mainstream drugstores. 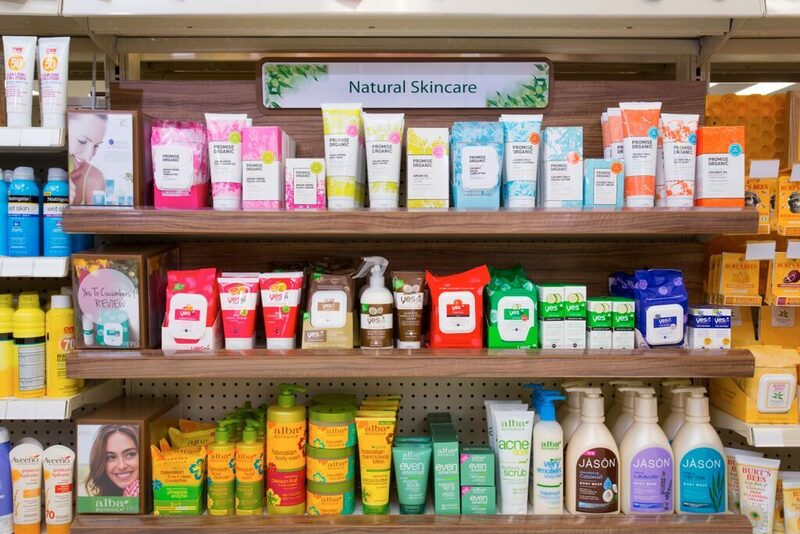 This is why I decided to do a Green Beauty Drugstore Haul at CVS pharmacy. I did my green beauty drugstore haul at CVS pharmacy because it’s the biggest drugstore in my neighborhood. That said, I’ve also seen a great selection of products at Rite Aid, Walgreens, Target and Walmart too. When shopping for green beauty at the drugstore, focus on items that you use daily, and items that cover the largest area of your body. These are the first products that you need to switch out. These means that body lotion, body wash, deodorant, and shampoo are top priority. Check out some of my other skincare and beauty reviews. I have lots of them! Ever since I wrote my first book, Gorgeously Green in 2008, I’ve been on the hunt! Anyway, let’s get on to my recent green beauty drugstore haul. Here’s what I found. I’m going to start with body lotion, shampoo, and deodorant. And then list a ton of other products I loved. These are 3 brands that I really loved when I tried them. Make sure you stock up your gym bag with these daily essentials. Also check out my recent post on 10 Natural Anti-Aging Tips For Clear & Glowing Skin.